Long before people were tethered to smartphones and in constant communication with everyone all the time, AOL Instant Messenger was really the only way to chat with your friends online. In many ways, the pioneering chat app is responsible for training an entire generation of middle and high schoolers how to navigate the many pitfalls of Internet back-and-forth. But, much like your embarrassing first AIM screenname, not everything is meant to last forever, which is why AOL has decided to shut down Instant Messenger for good. On Friday, the once-predominant web company announced to its remaining AIM users and the public that it would be pulling the plug on the 20-year-old chat app for good on December 15. People will be able to download images they sent on AIM until then, but you won't be able to save your Buddy List, and the company is pulling download links for the service starting now. 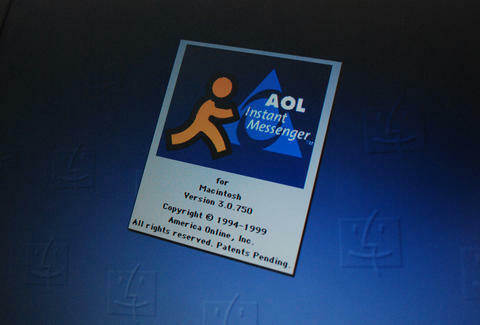 After launching in 1997, AIM quickly became the leading chat app in North America, and seemingly every teenager with access to a computer used it. Besides letting you chat, joke, and ROFL with friends, it also introduced many to the idea of crafting a digital identity. From meticulously wording away messages and statuses, to fleshing out your "Buddy Info" section with the sort of angsty lyrics only a 15-year-old emo teen could appreciate, it set the bar for how people went on to use Facebook, Instagram, Snapchat, Slack, text messaging, and every other chat-adjacent app that launched since. However, the chat app's luster began fading about a decade ago once social networks and smartphones took over, and its active user base rapidly declined. And while the apps that have taken its place are objectively better and more useful, this goodbye is still a bittersweet one. RIP AIM, we'll forever cherish your sound effects.